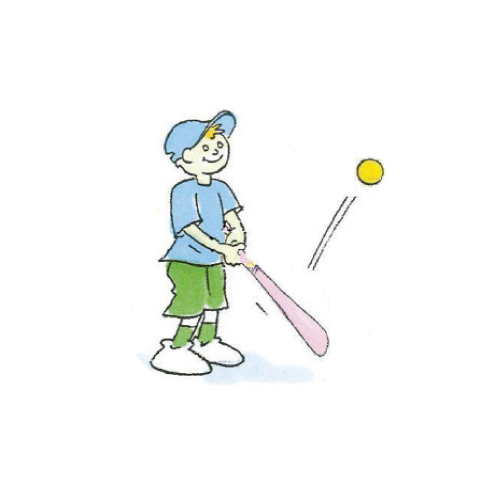 Bat tapping is a fun activity that allows players to develop hand-eye and bat coordination. Each player has a bat and a ball suitable for their age and ability. The aim is to hit the ball into the air continuously and keep the ball from hitting the ground. Which part of the bat do you need to hit the ball with so it will go straight up in the air?